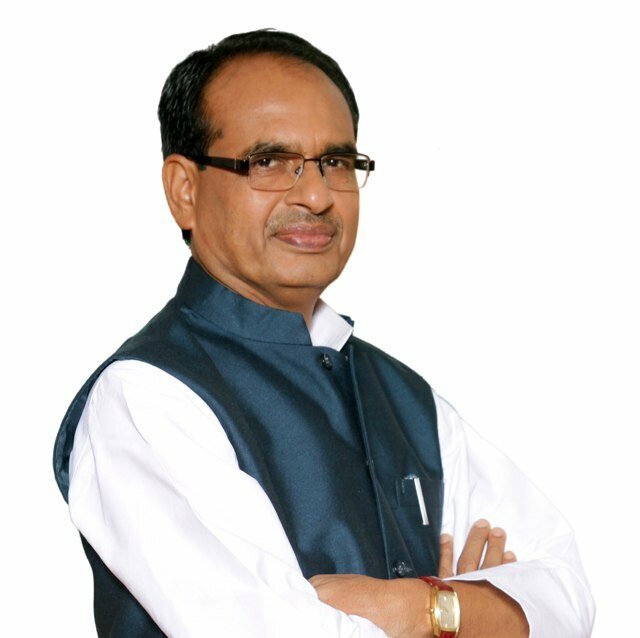 Chief Minister Shri Shivraj Singh Chouhan said that a campaign similar to ‘Namami Devi Narmade’-Seva Yatra which is being conducted for conservation of Narmada River will be conducted from next year for conservation of Tapti River and to make it pollution free. Shri Chouhan was laying the foundation of Parasdoh Medium Lift Irrigation Project at village Bisnur of Betul district to be built at a cost of Rs. 382 crore 29 lakh at Betul today. 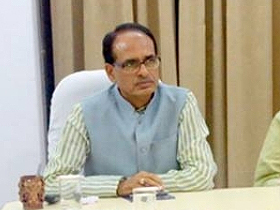 CM Shri Chouhan said that a major requirement of the farmers will be fulfilled on construction of this project. He mentioned that agriculture fields will get water conveniently and the production will become more. The state government is making efforts for making all the districts leaders in agricultural production. He said that initially 30 villages will be benefitted from this project. Villages, which are left out will be linked in the second phase. Pipeline for potable water will be laid in 200 villages in the project. He informed that emphasis has been laid by the state government to eliminate potable water problem in all the villages through Nal-Jal Yojna (Tap Water) in place of Hand pumps. House and land is being provided for needy persons under the Pradhanmantri Gramin Awas Yojna. Moreover, Shri Chouhan informed that saplings will be planted on the banks of river to increase water source under the Tapti Seva Abhiyan and pollution will be prevented. Also barrages will be constructed to make river perennial. Shri Chouhan further said that survey of Bandha and Barangwadi Dam will be conducted keeping in account the requirement of Betul district. CM Shri Chouhan distributed benefits of Kapildhara, Pradhanmantri Gramin Awas Yojna and Pradhanmantri Crop Insurance Scheme to 3 thousand 693 beneficiaries. Moreover, Shri Chouhan handed over cheques for Rs. 20 lakh and Rs. 17 lakh for automatic laundry and Animal Feed Production unit under Swa-Rozgar Yojna respectively to the beneficiaries. He also released a book focusing Anushrawan Aur Jan-Sanvad, Janta Ka Adhikar and Nishakt Vivah Yojna. 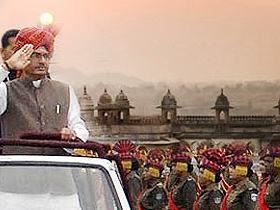 CM Shri Chouhan performed Kanya Poojan in the beginning.